Original examples of this cutter are now very rarely seen. 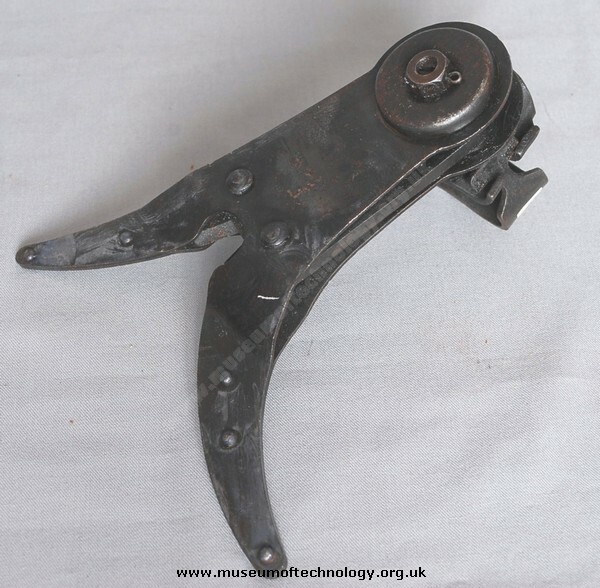 At auction they can bring c,�350 in good condition (2010 valuation).The problem was that they were very difficult to fix to the rifle due to undersized mounting brackets which would not go on the end of your weapon and even when you got the thing on your rifle the cutting tool would only cut BRITISH wire !!! The German wire was 'square' in cross section and was sometimes also made of hardened metal, where as the British wire was soft and of 'round' section. Most ended up in the mud of WW1 France and never came home !